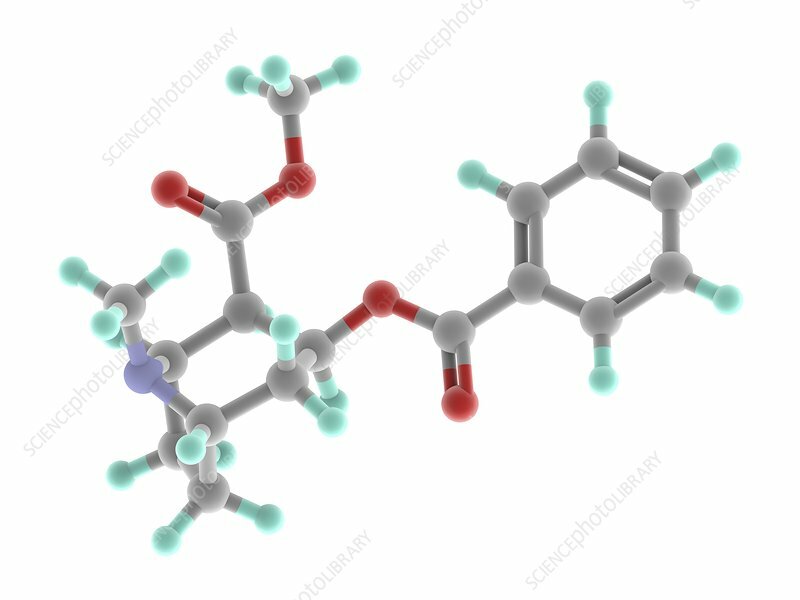 Cocaine, molecular model. Alkaloid obtained from coca plant leaves. Serotonin-norepinephrine-dopamine reuptake inhibitor, powerful nervous system stimulant. Atoms are represented as spheres and are colour-coded: carbon (grey), hydrogen (blue-green), nitrogen (blue) and oxygen (red).